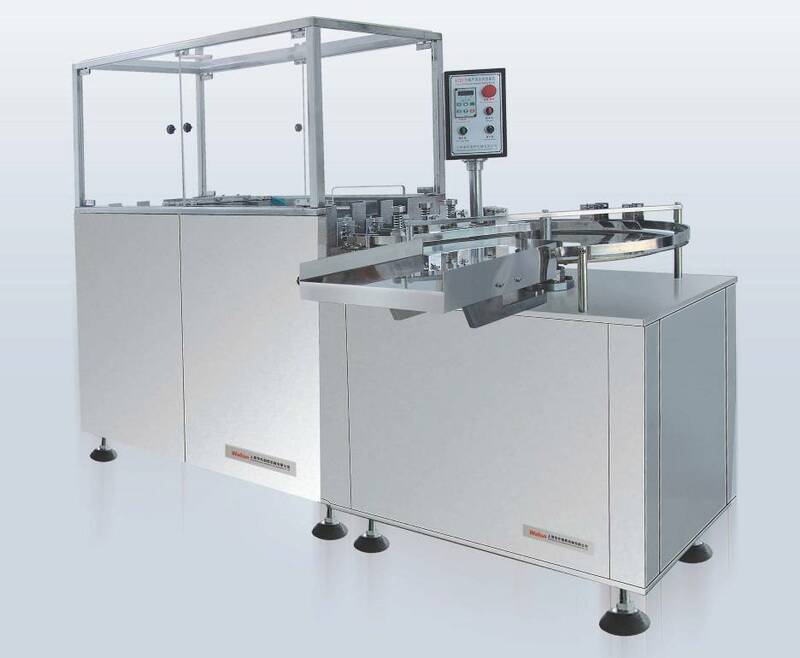 The process includes automatic bottle mechanical feeding, ultrasonic cleaning, track automatic turning of bottles, and then four cycles of cleaning by both water and air. The combination of ultrasonic cleaning and water/air rinsing and assisting cleaning will avoid secondary contamination; the cleaning quality could meet the "GMP" Pharmaceutical Manufacturing Practice requirements. l Ultrasonic for rough cleaning, high pressure water/ air for effective upside down fine cleaning, cleaned vial could meet GMP requirement. l Integration of mechanical and electrical systems, the equipment could complete automatic bottle arrangement, rough cleaning, fine cleaning, and the cleaning water could be recycled and circulative used to save production cost. l Machine could be operated independently, or synchronized with sterilizer, filling machine etc. l Simple structure, applicable for different type of vials or round bottles with easy changing change parts.